UNESCO’s Executive Board supports the initiative. The proposal to establish 2015 as the International Year of Light has received overwhelming positive support from the UNESCO Executive Board, which met in Paris from 13–18 October 2012. The proposal was initiated by the European and African physical societies with central support from ICO as a founding partner, representing a much wider and truly global consortium of over 40 other scientific societies, academies and other institutions. This endorsement by UNESCO will now lead to a formal resolution before the UN General Assembly, which is expected during 2013. The motivation for the International Year of Light is to highlight the importance of light and optics to science, development, education and culture. Light is an embracing and inclusive theme around which to structure an international year. It is at the origin of all life, it plays a central role in human activities, and has revolutionized society through medicine and communications, entertainment and culture. Industries based on light are major economic drivers; they create jobs, and provide solutions to global challenges in energy, education, agriculture and health. Light is also important in our appreciation of art, and optical technologies are essential in understanding and preserving cultural heritage. As light becomes a key crosscutting discipline of science in the 21st century, it is essential that its importance is fully appreciated. It is equally vital that the brightest young minds from all areas of the world continue to be attracted to careers in this field. An International Year of Light will raise public awareness of this essential theme, and thus support the missions and priorities of UNESCO in building capacity in education, science and technology for poverty eradication, responding to critical global social challenges, promoting universal access to information, and safeguarding culture. The study of light is accessible to all ages and all cultures; light is a tremendous subject to motivate education at all levels. The International Year of Light has been supported by ICO since its inception in 2009. In September 2011, the then ICO president Maria L Calvo was invited by Luisa Cifarelli, president of the European Physical Society, to attend the event “Passion for Light” at the Villa Monasterio, Varenna, Italy, where the Year of the Light platform was launched. 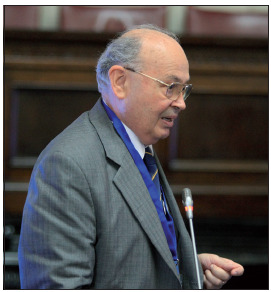 In November 2011 current ICO president Duncan Moore attended the IUPAP General Assembly and supported the presentation of the initiative to IUPAP in an essential step on the way to securing the support of the UNESCO Executive Board. With help from the many volunteers that make up the ICO community, links with the African Physical Society based in Ghana, and the University Nacional Autónoma de México in Mexico resulted in the nations of Ghana and Mexico leading the initiative within UNESCO to assemble a broad consensus of international partners. An International Year of Light will allow the universality of light and the variety of its applications to be appreciated via many and varied themes covering broad areas of interest, supported by cross-cutting themes addressing essential issues to be included in all activities. Actions will be implemented on national, regional and international levels. The main structure of these activities is illustrated above. The finalized resolution for an International Year of Light in 2015 was placed before the Executive Board by Ghana, Mexico, and the Russian Federation and New Zealand. The resolution was then adopted joined by support from a further 28 board members: Angola, Bangladesh, Brazil, Burkina Faso, China, Congo, Cuba, Djibouti, Ecuador, Ethiopia, Gabon, Gambia, Kenya, Indonesia, Italy, Malawi, Nigeria, Peru, the Republic of Korea, Saudi Arabia, Spain, Thailand, Tunisia, the United Arab Emirates, the USA, Venezuela, and Zimbabwe. Other member states of UNESCO who declared support for the initiative were Hungary, Serbia and South Africa.This impressive list of co-sponsoring nations reflects the truly international and inclusive nature of the theme of an International Year of Light, and the tremendous support within UNESCO for proposals that respond to real global needs and that show the unity and enthusiasm of the scientific community to work with governments to solve the current challenges of societies worldwide. 2015 will come around quickly of course, and so planning will begin in February 2013 through a meeting at the UNESCO Abdus Salam International Centre for Theoretical Physics in Trieste, Italy, where, with the occasion of the meeting of the Trieste System Optical Sciences and Applications Advisory Group (TSOSA), representatives of ICO and of the major partner societies will begin the first steps to co-ordinate what will be sure to be an exciting and influential series of activities in education and outreach at all levels. The IUPAP Young Scientist Prize in Optics 2012 was awarded to Dr Nirit Dudovich from the Weizmann Institute of Science, Israel. Dr Nirit Dudovich has a PhD in physics from the Weizmann Institute of Science, Rehovot, Israel, where she leads the attosecond science group. In 2012 she was awarded the IUPAP Young Scientist Prize in Optics for her outstanding achievements on “Developing a completely new approach to attosecond pulse metrology”. (10–18 seconds) laser pulses in the XUV regime, in a process known as high harmonic generation (HHG). The study of new areas of science, such as time-resolved measurement of multi-electron dynamics on attosecond timescales, can now be explored in its natural timescale. Attosecond technology produces a combination of photons and electrons that are mutually coherent and are linked by the presence of a strong laser field. Their underlying dynamics provide direct insight into a broad range of fundamental phenomena such as multiple channel ionization, core rearrangement, and charge transfer, all of which evolve on an attosecond timescale. Dr Dudovich performed her post-doctoral research with Prof. Paul Corkum at the National Research Council (NRC) in Canada, who is one of the pioneers in attosecond science. During her postdoc she developed new methods for time-resolved measurement in the attosecond regime. A major achievement was the introduction of perturbation in strong-field light-matter interactions. In this concept she imported the basic scheme, developed for the weak-field regime, into the extreme nonlinear regime. Specifically, she demonstrated that this approach allows us to measure attosecond pulses as they are produced (Nature Physics, 2006 and Phys. Rev. Lett., 2006). In 2007 Dr Dudovich joined the physics faculty at the Weizmann Institute of Science as a senior scientist. Her current research combines basic schemes developed for manipulating light-matter interactions in the femtosecond regime and new concepts introduced by attosecond science. Strong-field light-matter interactions and attosecond measurements offer a new “playground” that enables us to import ideas from other disciplines in physics and mathematics, and to implement them in the new, growing field of attosecond science. 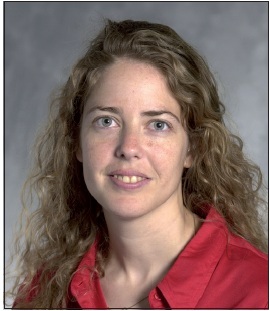 Motivated by the challenge of characterizing attosecond pulses, her group developed a new scheme for the phase retrieval problem – an extensively studied problem in mathematics, which is of fundamental importance in many fields of research. Her group introduced a new linear and all-optical method that enables one to characterize attosecond pulses (Phys. Rev. Lett., 2011). A closely related direction of research is the study of caustics in attosecond science. Her group has shown, for the first time that fundamental strong-field phenomena can be described by the extensively studied field of Catastrophe theory. Basic concepts, imported from Catastrophe theory, revealed new phenomena in HHG (Nature Photonics, 2012). Both directions of research — pulse characterization and catastrophes in HHG — open up new opportunities for measurement and control of strong-field and attosecond processes. 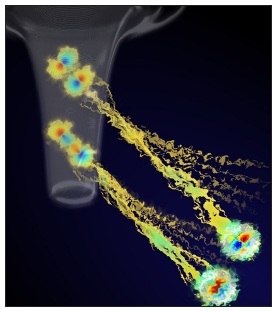 Dudovich’s group contributed to the study of the basic mechanism underlying attosecond processes. They studied these processes very close to the ionization threshold, where the standard model that describes the mechanism fails (Phys. Rev. Lett., 2010). In a different experiment, performed at the Bordeaux University, they studied the role of the ionic Coulomb force in attosecond processes and found that it plays a major role on both its temporal and spatial properties (Phys. Rev. Lett., 2012). Attosecond technology can also be applied to perform spatial measurements with Angstrom accuracy. Dudovich’s group introduced a new measurement scheme that allows one to probe systems that cannot be directly controlled in the laboratory. This scheme enabled them to reveal the structure of atomic wave functions (Nature Physics, 2009). Although strong-field interactions hold great promise, they pose new challenges: can we resolve the dynamics of the interaction while all degrees of freedom are strongly coupled? Dudovich’s group has established the concept of perturbative measurements in attosecond science. Tunnel ionization from two orbitals in CO2 molecules. Applying this approach provided direct insight into one of the most fundamental strong-field phenomena – tunnel ionization. Their experiment resolved, with attosecond accuracy, the time at which an electron exits a tunneling barrier. When the scheme was extended to molecular systems, her group was able to resolve subtle differences between the dynamics associated with two ionization channels (Nature, 2012). Dr Dudovich wishes to acknowledge her strong collaborations with leading experimental and theoretical centres such as the Bordeaux University in France, the Max Born Institute in Berlin, Germany, and the National Research Council in Ottawa, Canada. These collaborations are a key component in the scientific achievements acknowledged by the IUPAP Young Scientist Prize. 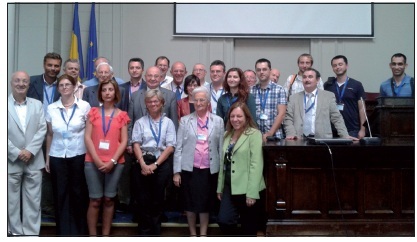 The conference highlights Romanian success in optics research. The conference “Micro- to Nano-Photonics III – ROMOPTO 2012” was the tenth (jubiliary) in a series of international conferences dedicated to optics and photonics, held every three years in Romania. The first three conferences were organized by Acad. Ioan Ursu, in collaboration with Acad. A M Prokhorov, under the name “Trends in Quantum Electronics”. The Romanian optics community and colleagues from abroad also celebrate 50 years since the first He-Ne laser was constructed at the Institute of Atomic Physics Bucharest, in the Laboratory of Optical Methods in Nuclear Physics lead by Prof. Ion Agarbiceanu, a member of the Romanian Academy. The conference was organized by the Romanian Academy and the National Institute of Laser, Plasma and Radiation Physics, Bucharest. The topics of the conference series are related to modern micro- and nano-photonics and reflect the fast evolutions of optics and photonics providing essential technologies for new materials, information science and technology, biology and medicine, manufacturing, sensing and metrology. The results in these fields demonstrate the important role of photonics in the progress of modern society, in the 21st century. The purpose of ROMOPTO 2012 was to provide an opportunity for the optics scientists to discuss their newest results, to stimulate interdisciplinary research and to consider the perspective of applications. The conference provided scientists of all ages with the opportunity to share experiences, discuss results, stimulate interdisciplinary research and consider the prospects of applications. The position of Romania in Central-East Europe plays an important role in the promotion of the scientific contacts in this region. In the national strategy in R&D, photonics plays an important role in basic research, development and innovation. An actual challenge for all of us is the financial and economic crisis, which has effects on the research funding, the participation in scientific meetings and many others. We follow with interest the new strategy of the EU in research, development and innovation, Horizon 2020, including partnerships in the new projects. The Romanian optics community is involved in a main infrastructure project of EU in research and development – “Extreme Light Infrastructure – Nuclear Physics” (ELI-NP), led by Prof. N Zamfir, a member of the Romanian Academy. ROMOPTO 2012 was possible thanks to the actions and support of several national and international institutions. At the national level we thank the support of the Romanian Academy, the Romanian Ministry of Education and Research and the National Agency for Science, Technology and Innovation, the National Institute of Laser, Plasma and Radiation Physics (NILPRP), the Bucharest University, the Foundation “Menahem H Elias”, the University “Polytechnica” of Bucharest and the Division of Optics and Quantum Electronics of the Romanian Physical Society (which is a Territorial Committee of ICO and EOS). We also acknowledge the sponsorships by Romanian laser companies “Apel Laser” – director Dr M Udrea and “Hysteresis” – director Catalin Trangla. As a partner in many international projects and activities, Romania works with institutes and universities in other countries and plays an active role in the promotion of scientific contacts. To introduce participants to different areas of the country, the organizing committee hosts the conference in different Romanian cities, such as Bucharest – the capital of Romania, Constanta on the border of the Black Sea and Sibiu, in Transylvania, one of the best-preserved medieval cities in Romania. More than 100 papers were submitted on the six topics, which were organized into three parallel sessions and six plenary sessions held in Aula Magna of Romanian Academy. There were 9 plenary lectures, 25 invited lectures, 22 oral presentations and 44 posters. The sessions were honoured by the following distinguished professors: Prof. Mario Bertolotti, Dr Eugene G Arthurs, Prof. Christos Flyzanis, Prof. Anna Consortini, Prof. Gerd Leuchs, Prof. Francois Kajzar, Prof. Stefan Hell, Prof. Concita Sibilia, Dr Costel Subran, Prof. Edmond Turcu, Prof. Angela Guzmán, Prof. Eugenio Fazio, Prof. Mircea Guina, Prof. Ion Tighineanu and many others. It was a pleasure to notice the high level of international involvement in this conference, with 40 participants from 10 countries, as well as about 70 Romanians. Young scientists were invited to make oral presentations, giving them the opportunity to convince the auditorium about their own research. By generous support, the best student papers selected at this conference were awarded by SPIE and OSA. Many of these young scientists have contributed high-quality work in laboratories around the world in the framework of EU projects. The conference also aimed to educate young scientists and give them the opportunity to be in contact with the most prestigious professionals in the field, and defend their results. During the conference a trip was organized to visit the town Sinaia, close to the Carpathian Mountains, with the well preserved Romanian Royal Peles Castle. We would like to thank the organizing committee, led by Dr Adrian Petris, to Dr Tatiana Bazaru Rujoiu, Mariana Buzatu, Eng. Silviu Popescu, Dr Ioan Dancus and others for their excellent organization and hospitality, which everyone greatly appreciated.